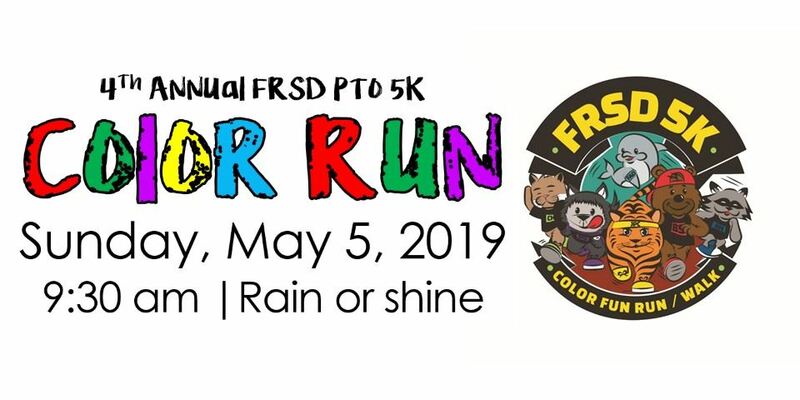 Registration is open for our district's annual 5K color fun run/walk event! Please click the headline above to sign up and help color our community! If you are interested in running for the Board, please click the headline above to download a candidate kit. Elections will be held on November 5, 2019. 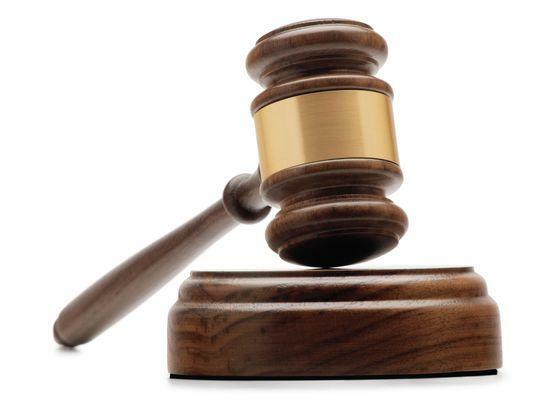 The petition is due by 4 p.m. on July 29, 2019. For questions, please call the Hunterdon County Clerk at (908) 788-1214. 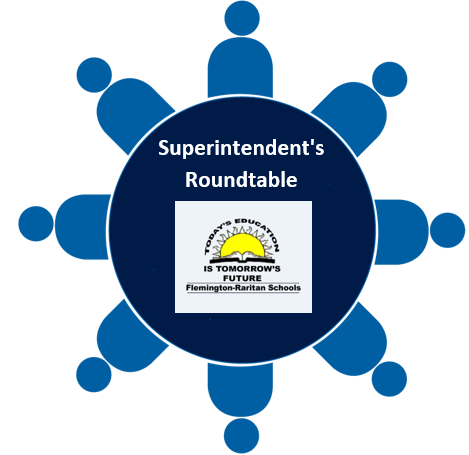 Please click the headline above to register online to attend a Superintendent's Roundtable Discussion this year. The J.P. Case Middle School PTO offers summer enrichment activities to all FRSD students entering grades 5-8 in September. Click the headline above for details and to sign up. 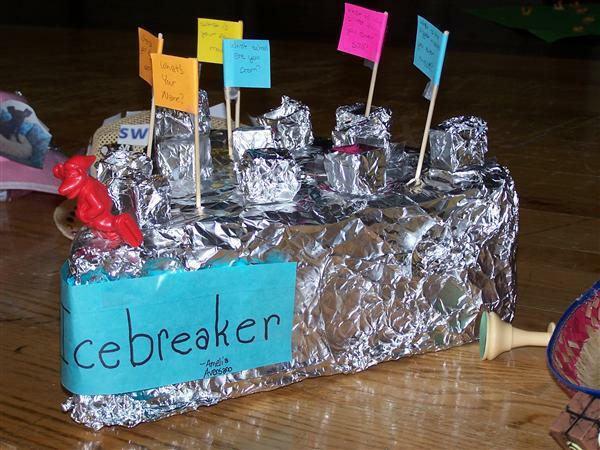 Let's get ready for Kindergarten! Please click the headline above to download a packet and review requirements. Staff Spotlight: Welcome, Mr. Presley! Our district warmly welcomes Mr. Jeffrey Presley as our new Director of Pupil Personnel Services and Special Education. Mr. Presley will begin his new role on July 15, 2019. Please click the headline above to learn more about Mr. Presley! 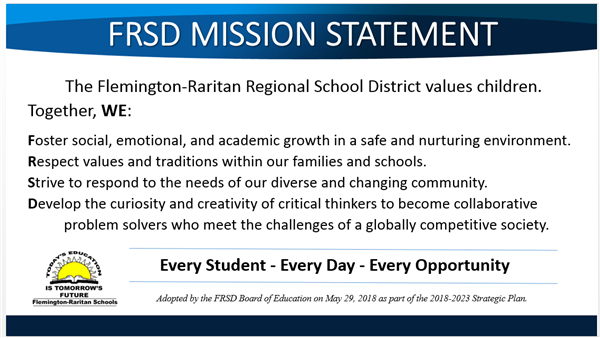 Click the headline above to view the District's NEW Mission Statement! Staff Spotlight: Welcome, Ms. Arroyo! Our District warmly welcomes Ms. Ashley Arroyo. 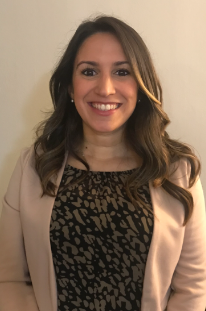 Ms. Arroyo has joined Reading-Fleming Intermediate School as a new Vice Principal, as of March 11! Please click the headline above to read more about Ms. Arroyo! Our district is proud to announce our 2018-2019 Educators of the Year! Click the headline above to view a list of this year's honorees! 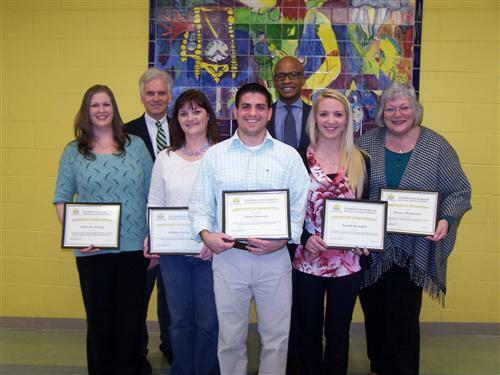 Congratulations to our outstanding educators! 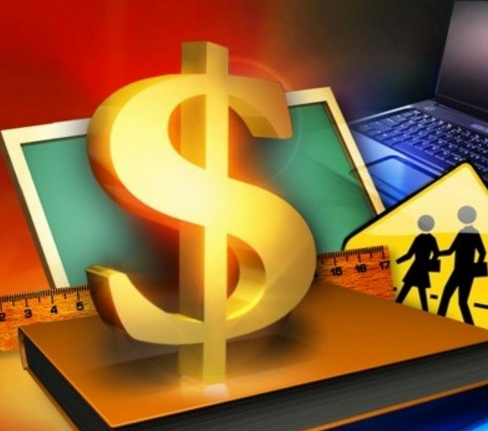 Flemington-Raritan Regional School District launches lottery system and fee change for 2019-2020 Integrated Preschool -- Click the headline above for details. Click the headline above to view a 2018 Flu Guide for Parents from the CDC. 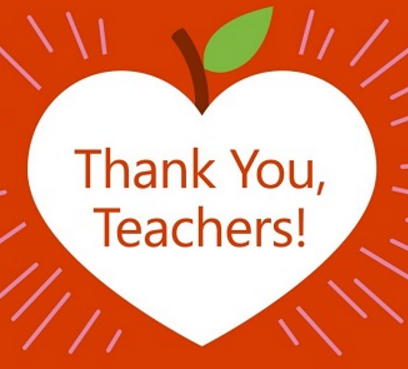 February 4-8 marks National School Counselor Appreciation Week! 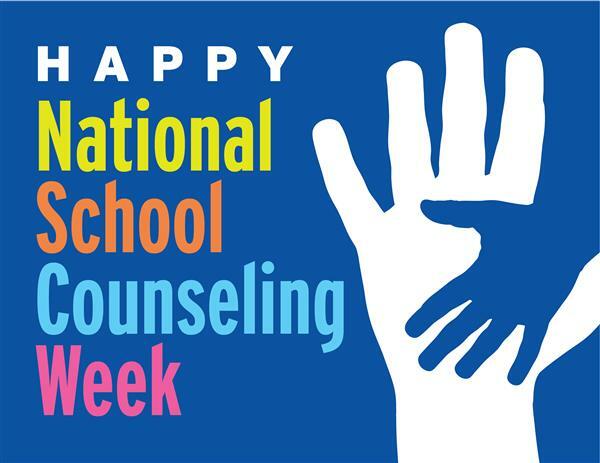 We recognize and thank our outstanding school counselors for their dedication and service to our students and families. Click the headline above to view a list of our outstanding counselors! Each year our schools join millions of students across the country by participating in The Great Kindness Challenge in an effort to empower our students to create a culture of kindness and compassion. This year the challenge will take place from January 28th until February 1st. Click the headline above for details! Click the headline above to apply online! 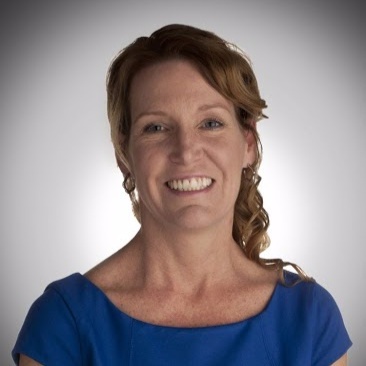 Kari McGann, Superintendent of Schools in Flemington-Raritan Regional School District in New Jersey, has been selected as one of 20 fellows in LEAD STEM, a national leadership development experience. 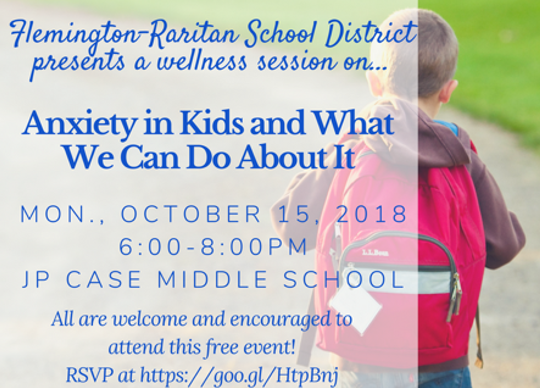 Anxiety in Kids Parent Seminar-Oct. 15, 6 p.m. 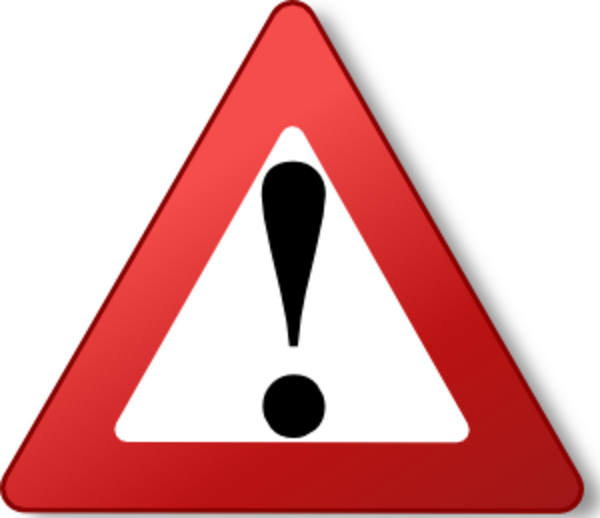 Please click the headline above to view a notification for parents regarding assessments. 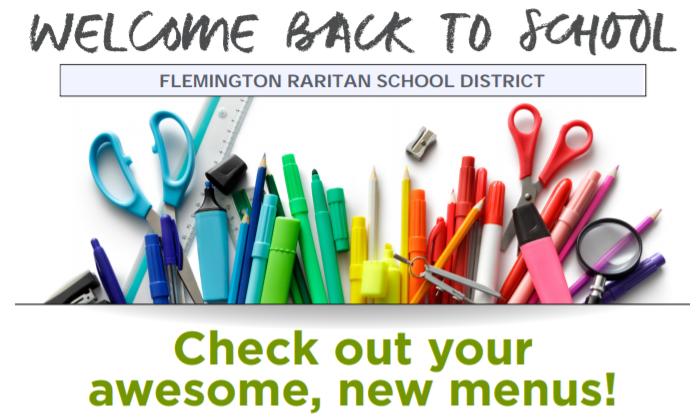 Check out our new web site for FRSD Lunch Menus! 2018-2019 12-Month Calendar is now online! Click the headline above to view the 12-Month District Calendar for the 2018-2019 school year! 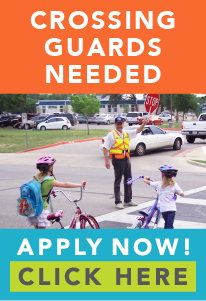 Crossing Guards needed at JPC & BS! Crossing Guards Needed -- The Township of Raritan has 2 open positions for a school crossing guard for the 2018-2019 school year. The crossing guard, upon completion of 22 hours of training (2 hours of classroom instruction and 20 hours of supervised field training), will be assigned to the school crossing post at J.P. Case Middle School and Barley Sheaf School. Starting rate of pay for this position is $15/hour. Interested parties are asked to contact Acting Lieutenant Joseph Canonica at 908-782-8889 or e-mail jcanonica@raritantwppolice.org. 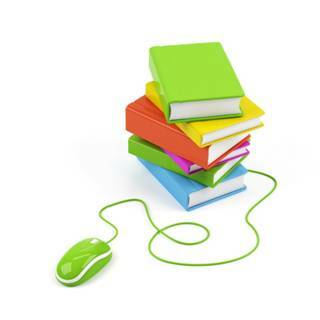 Please click the headline above to access the District's Summer Reading web page. The District commends and thanks the J.P. Case Middle School 8th-grade students for their contributions and wishes them the very best in the years to come! Mr. Ralph Losanno was appointed the District's new Supervisor of Instructional Technology. 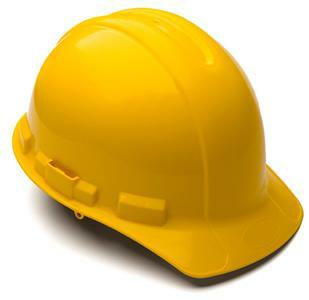 Mr. Losanno begins work on July 1. Kari McGann has been named Superintendent of Schools for the Flemington-Raritan School District, effective July 1. Click the headline above to learn more about Mrs. McGann. Let's all take a break from our electronics! 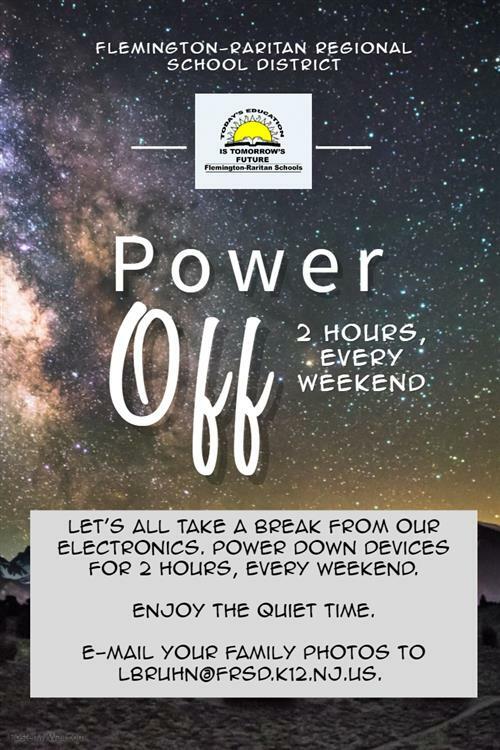 Power down all devices for two hours, every weekend. Enjoy the quite time! Click the headline above to learn more. Click the headline above to view photos from the Superintendent for the Day program held on June 6. Please click the headline above to view a proclamation from the State of New Jersey. Our district’s Green Committee is pleased to recognize and celebrate Earth Day, Sunday, April 22! This year marks the 48th Anniversary of Earth Day, which was established to raise awareness and support for environmental consciousness, preservation and programs. 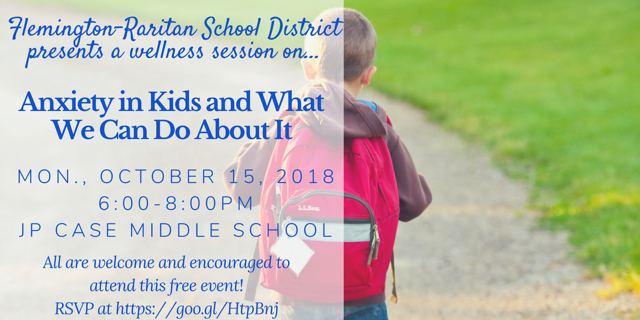 Please take a moment to share your feedback with the District. 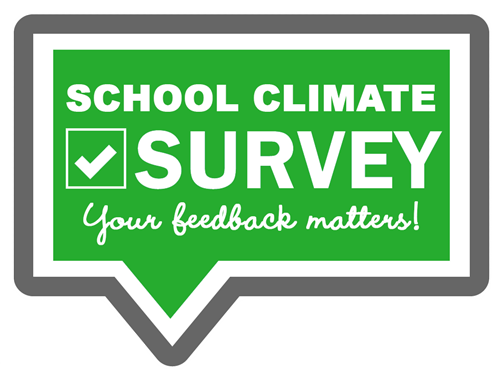 The survey is open now through April 9, 2018. Thank you for your time. Congratulations to our District's 2017-2018 Educators of the Year! 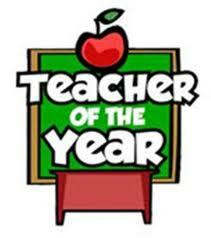 Click the headline above to view our list of Educators of the Year! 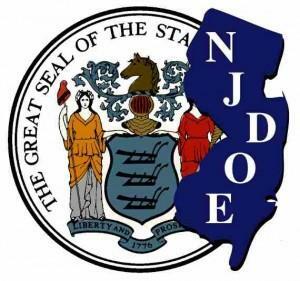 We know that we achieve, but now the rest of New Jersey knows that we achieve too! Congratulations to Ms. Gabruk, the faculty and staff and also the real wealth of our District, our children, as Barley Sheaf School ranked #13 in the list of the 50 highest scoring schools in New Jersey. Click the headline above for details! This session has been cancelled. Click the headline to learn more. 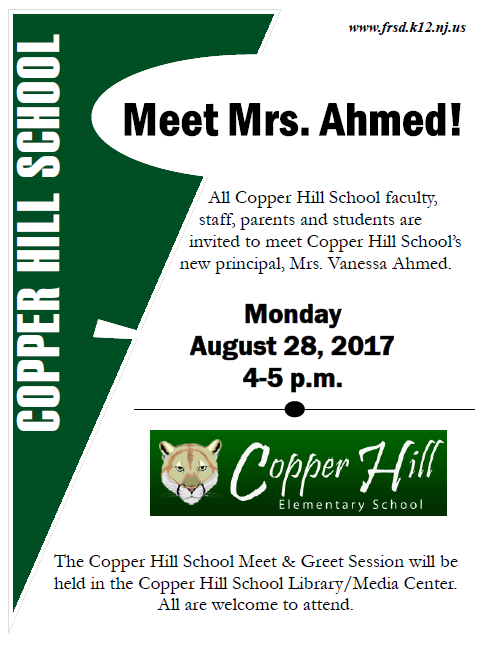 Click the headline above to visit the District's G&T web page for details and information. To date, the District's last day of school will be June 21. 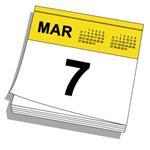 Please click the headline above to access the revised calendar. Currently, there is a high rate of flu (influenza) throughout most of New Jersey. There are actions that can be taken to help prevent the spread of flu, including flu vaccinations for everyone over the age of 6 months, healthy habits to stop the spread of germs, and staying home when you are sick. Please click the headline above for important information on the flu. February 26-March 2: Click the headline above for details about this special spirit week! Please click the headline above to access the 2016-2017 NJ School Performance Reports. January 11 and January 31. Click the headline above for details. Click the headline above to view photos from this special day. Thank you, Garin and Jayna, for leading our District! Green Committee marks 10 years! The District's Green Committee is celebrating its 10th anniversary! The FRSD Green Committee is celebrating its 10th Anniversary! 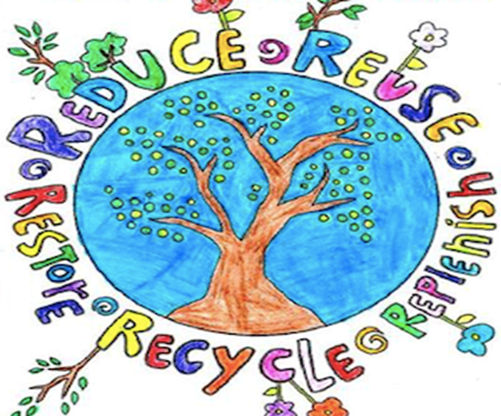 Since its inception in January 2008, the FRSD Green Committee has identified and focused on several areas: Cleaning Initiatives to Reduce Chemical Use; Education Initiatives; Energy Conservation; Fuel Conservation and Reduction; Paper Reduction and Recycling; and Water Conservation. Click the headline above for details. It is important for survivors of Hurricanes Maria or Irma living in New Jersey to be registered with FEMA in order to be eligible to receive the various disaster assistance services under FEMA’s Individual Assistance (IA) Program. Please click the headline above for information about disaster relief services and resources provided by FEMA. 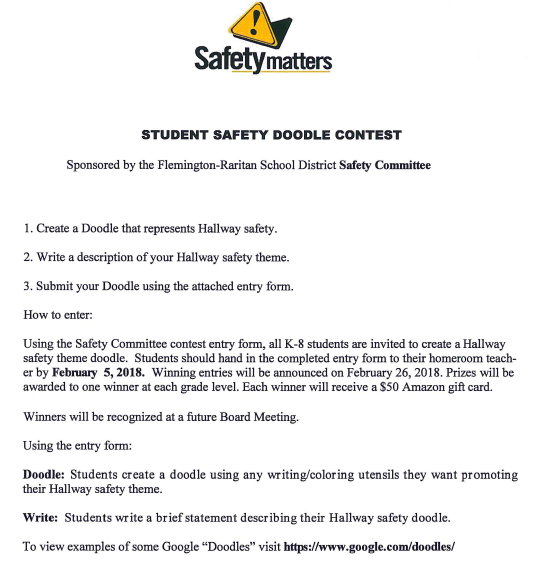 The Safety Committee of the Flemington-Raritan School District is sponsoring a Hallway Safety doodle contest for Grades K-8. The contest runs through February 5, 2018. The Safety Committee will judge all submissions at their February 14, 2018 meeting. Staff Spotlight: Welcome, Mr. Lockett! Our District warmly welcomes Mr. Jesse Lockett! 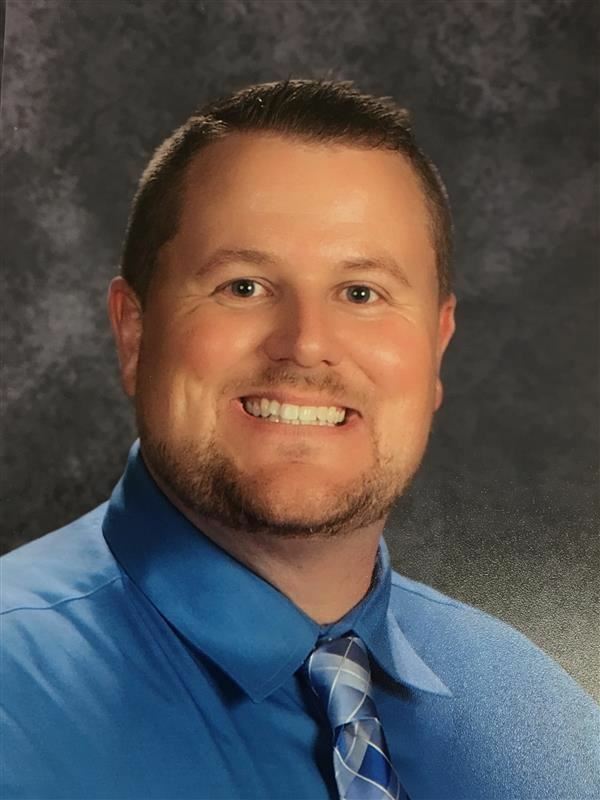 Mr. Lockett has joined our District as the new Vice Principal at Copper Hill School. Please click the headline above to learn more about Mr. Lockett! 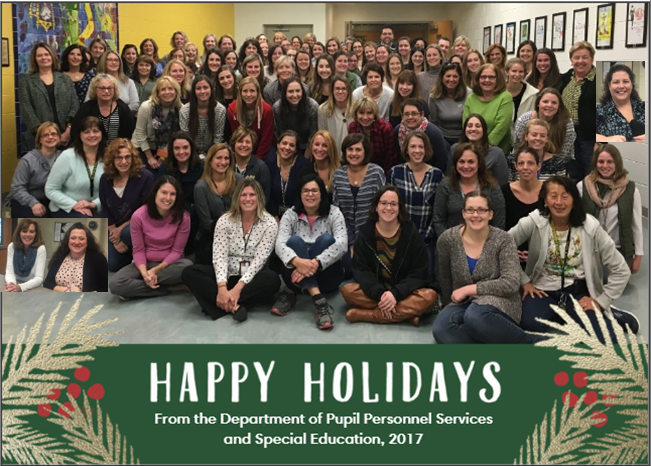 The Department of Pupil Personnel Services shares their holiday wishes to the FRSD community! Copper Hill School artwork is on display for the month of December at the Hunterdon County Library Youth Department. 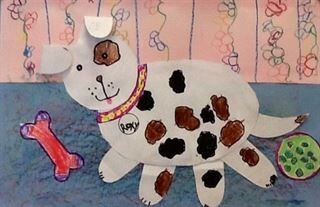 The featured artwork is titled, "Spotted Dog" by 1st-Grade students at Copper Hill School. The District congratulates Art Teacher Melissa Griffis for her hard work with the student artists. In addition, 1st-grader Audrianna W. was voted “Artist of the Week” on Artsonia.com for the Kindergarten through 3rd grade age group. This very special honor allowed Audrianna’s artwork to be displayed on the Artsonia homepage from December 3-9. She will be awarded a plaque and a $50 Blick Art gift card as well as earning Copper Hill School art class a $100 Blick Art gift card. Congratulations to Audrianna for a job well done and earning enough votes to win! Great job, Cougars! 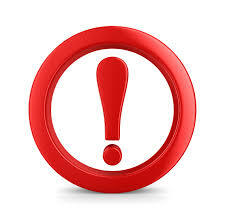 Please click the headline above to view an important notification about Pertussis. Enjoy quality time together with no homework on the first Wednesday night of each month, beginning December 6, 2017. 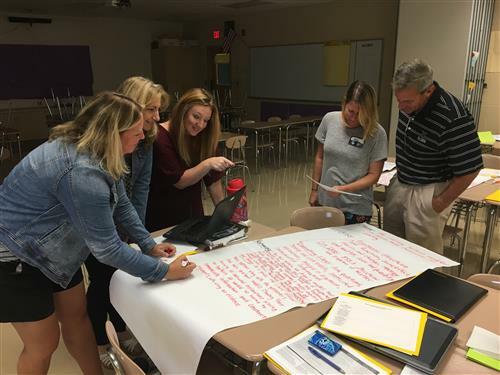 On November 28, the State of the Schools and the State of the Community committees met to begin writing reports as part of the strategic planning process. The committees will present their information to the Planning Council during a weekend conference from January 26-27, 2018. Please click the headline above for details. 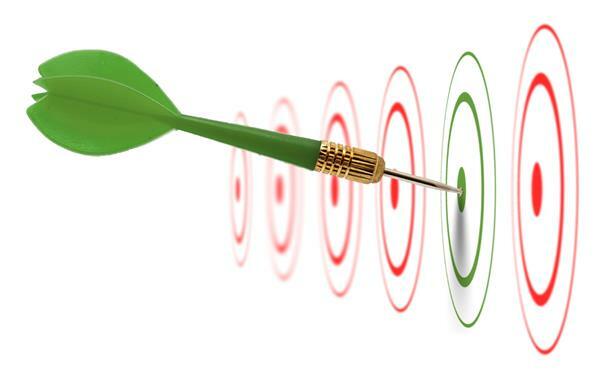 Strategic Planning: Call for Volunteers! On October 19, 2017, Ms. Gwen Thornton from the New Jersey School Boards Association shared the District's strategic planning process with staff and community members during kick-off meetings. Please click the headline above to view the presentation, learn more about the process and volunteer to join a committee. 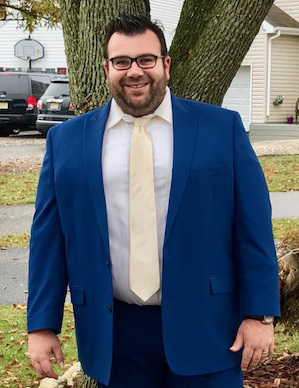 Staff Spotlight: Welcome, Mr. Giarratano! Our District warmly welcomes Mr. Giarratano! 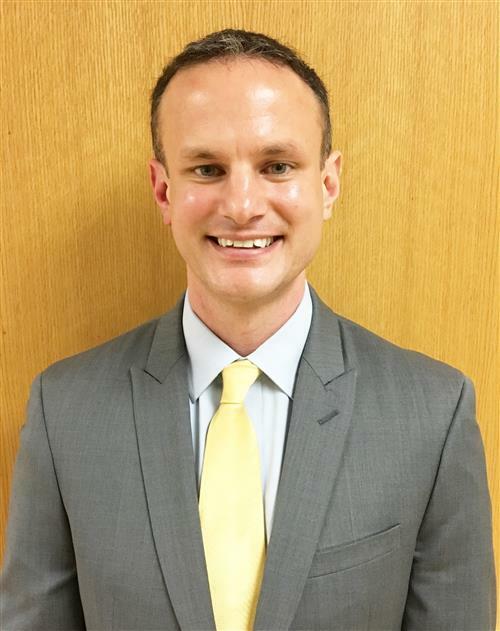 Mr. Giarratano has joined our District as a Vice Principal of Reading-Fleming Intermediate School. 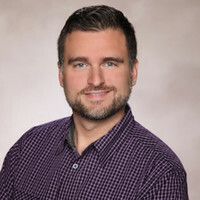 Please click the headline above to learn more about Mr. Giarratano! Penny Wars - Results are in! Our students raised $5,056.84 in a district-wide Penny Wars challenge sponsored by each school's Parent Teacher Organization. 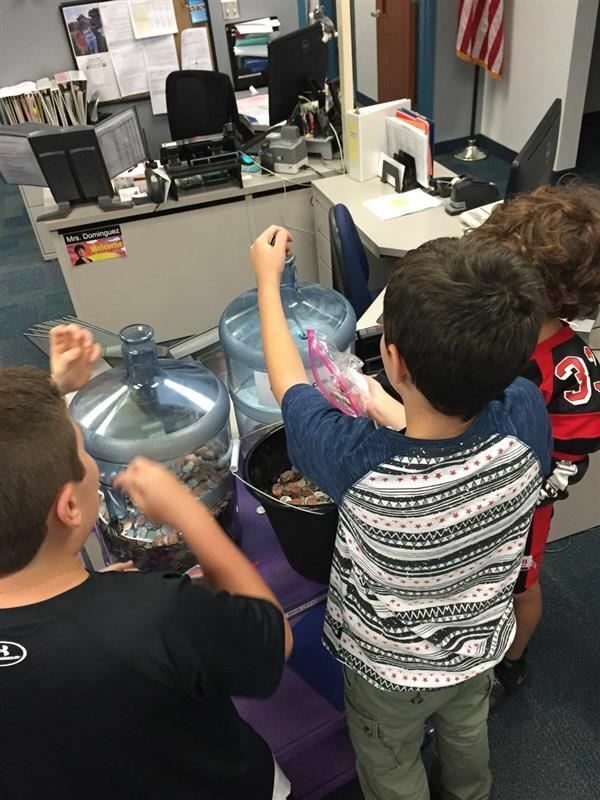 The coin drive was held during the month of September. All funds will be donated to the Salvation Army to support relief efforts for victims of Hurricane Harvey in Texas. The Board of Education invites the school PTO officers and students to attend its meeting on October 30. During the meeting, the Board will honor and commend the PTOs and the children for the success of the Penny Wars challenge. The meeting will be held at 7 p.m. in the J.P. Case Middle School Theater. Please click the headline above view a breakout of each school's Penny Wars total. Staff Spotlight: Welcome, Ms. Wolff! 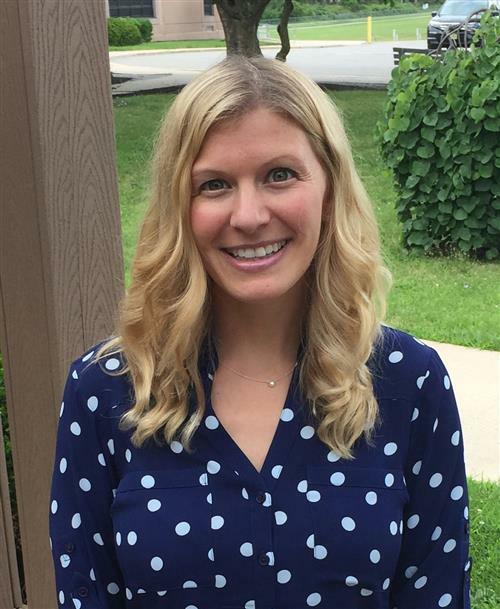 Our District warmly welcomes Ms. Kristen Wolff! Ms. Wolff has joined our District as the new Supervisor of Mathematics and Science. Please click the headline above to learn more about Ms. Wolff. 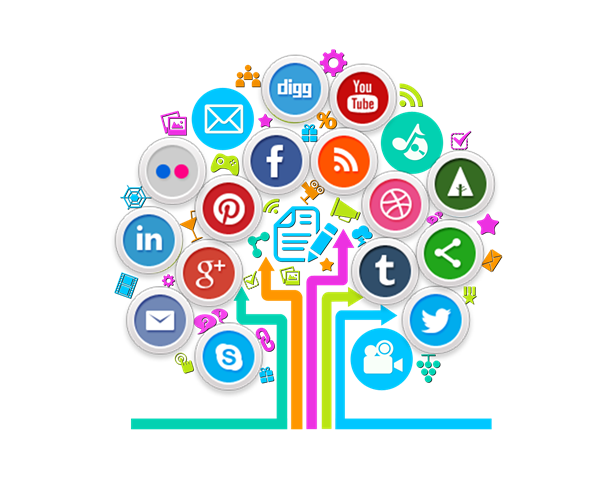 The District is proud to launch the FRSD Digital Hub – a website dedicated to District technology updates, including Social Media Night and resources for staff members and families. Please click the headline above to access the Digital Hub. 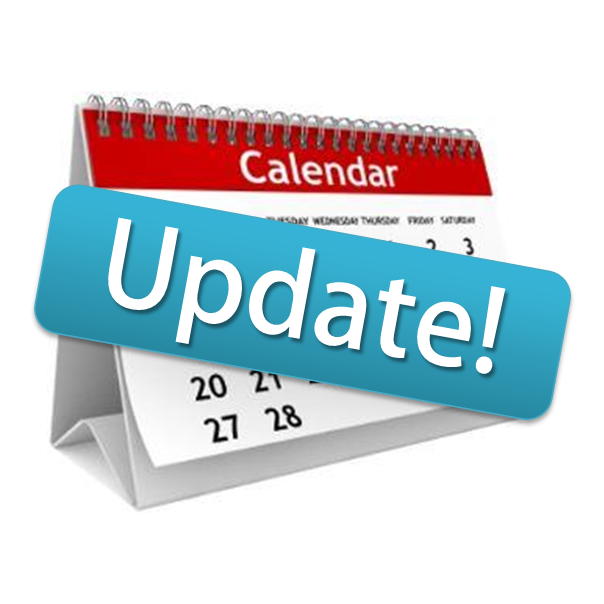 Please click the headline above to view a parent notification regarding this year's state assessment dates. 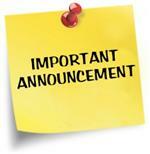 Please click the headline above to view a message from the FRSD Board of Education regarding the ratification of a new agreement with the Flemington-Raritan Education Association. Please click the headline above to view photos from the October 2 Social Media Night. Please click the headline above to view our Board of Education's goals for the 2017-2018 school year. 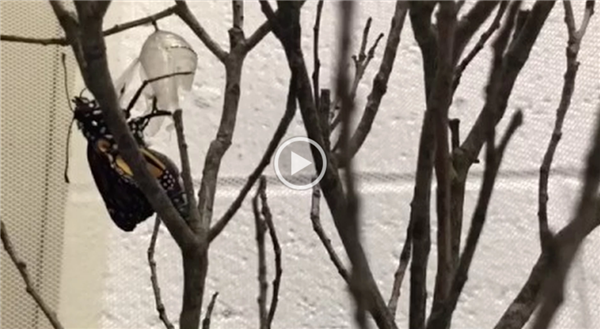 Video captures emerging Monarch butterfly! Click the headline above to view a Monarch butterfly emerging at Francis A. Desmares School! At the September 11, 2017 Board of Education meeting, new hires were formally introduced and welcomed to the district! Check out our Opening Day photos! 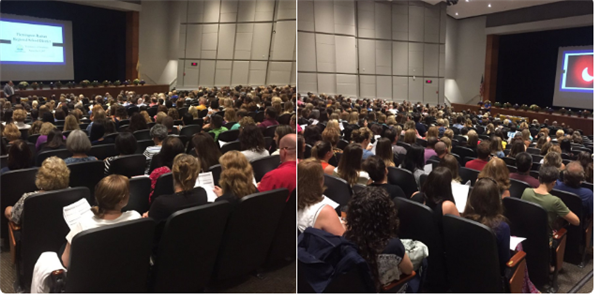 Click the headline above to view photos from the Opening Day with teachers and staff. 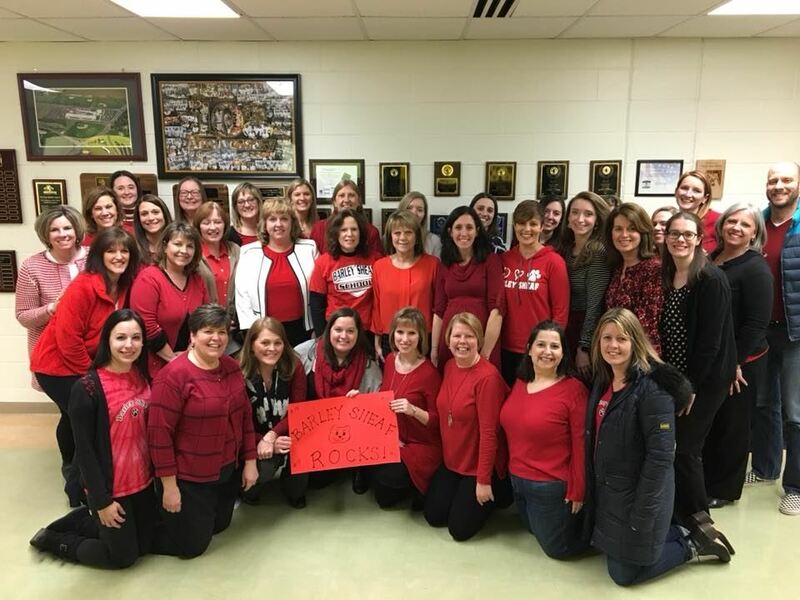 The Flemington-Raritan Board of Education is pleased to announce a tentative agreement on a new employment contract with the Flemington-Raritan Education Association. Terms of the agreement are subject to document preparation and are confidential until ratification of the contract by both parties. 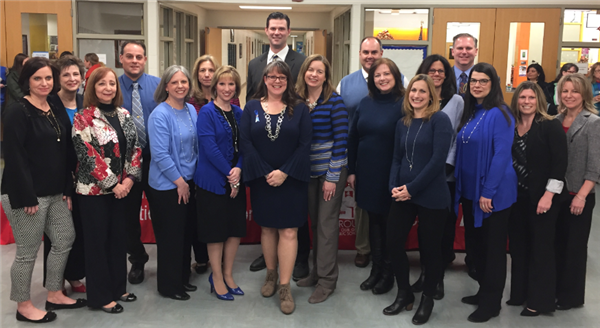 We thank the Flemington-Raritan community for their continued support of our students, staff and schools. Welcome, new teachers and staff! Please click the headline above to view photos of today's New Hire Orientation. Click the headline above to check out photos of our staff taking part in Next Generation Science Standards sessions. 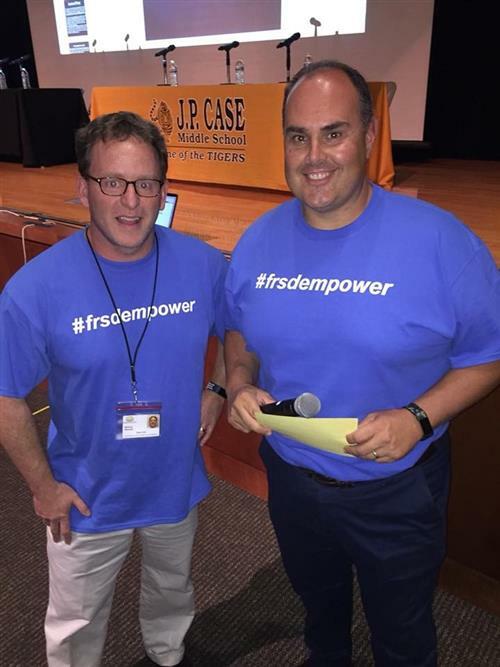 Please click the headline above to read Dr. Ruberto's update to all FRSD families. Staff Spotlight: Welcome, Mrs. Switkes! 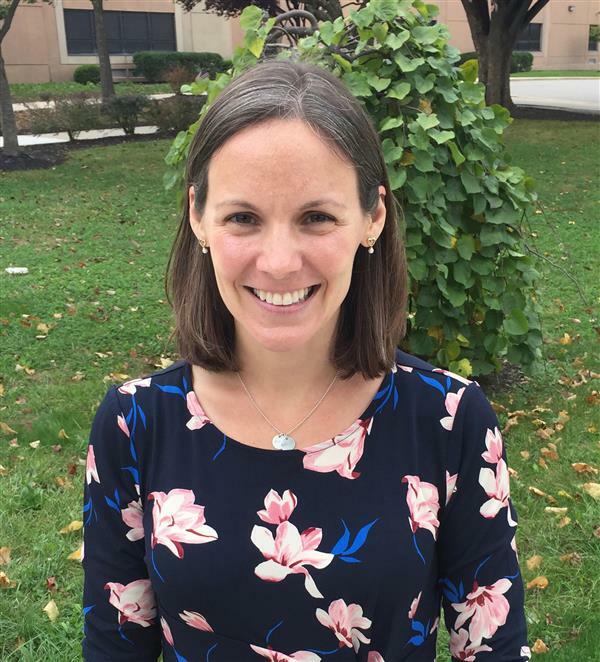 Click the headline above to learn more about Mrs. Amy Switkes, our new Vice Principal at Barley Sheaf School! 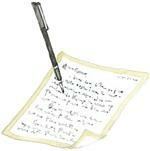 Please click the headline above to view a letter about Chromebooks for next school year. Thank you for your attention. 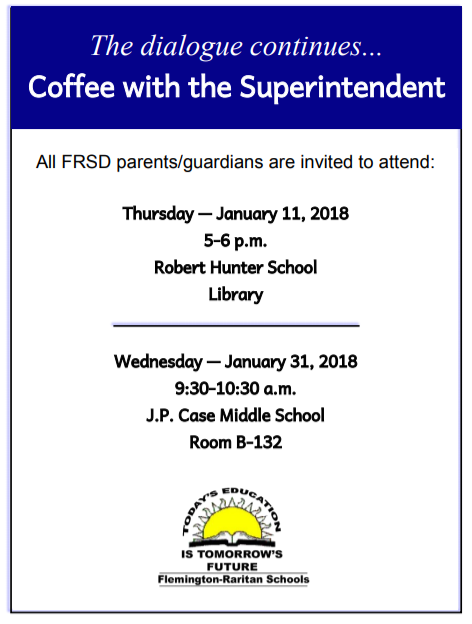 Please click the headline above to view a message from Dr. Ruberto to all FRSD families. On June 12, our Board of Education met in Executive Session and agreed to name Dr. Johanna Ruberto as our district's Interim Superintendent. Dr. Ruberto is currently completing an Interim Superintendent position at Hunterdon Central Regional High School. She will be available to serve our district beginning July 3. Our Board anticipates appointing Dr. Ruberto at an upcoming Board meeting, once her contract is reviewed and approved by the County Office. In the meantime, at her request, Dr. Caulfield has been released from her duties as Superintendent in our district. The Board has appointed Stephanie Voorhees, our Business Administrator, to serve as Acting Superintendent, effective today through July 2. Mrs. Voorhees has 25 years of experience serving as a Business Administrator in New Jersey public schools. She has been employed in our school district for the last 13 years. She is a certified School Administrator and will oversee daily operations of the district temporarily. Please click the headline above to view an important announcement from the Board of Education regarding the resignation of Dr. Maryrose Caulfield for the purpose of retirement. May 10 is National School Nurses Day! 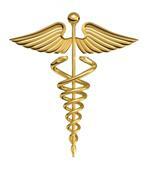 As May 10th marks School Nurses Day, we commend and thank our district nurses for their service to our district. 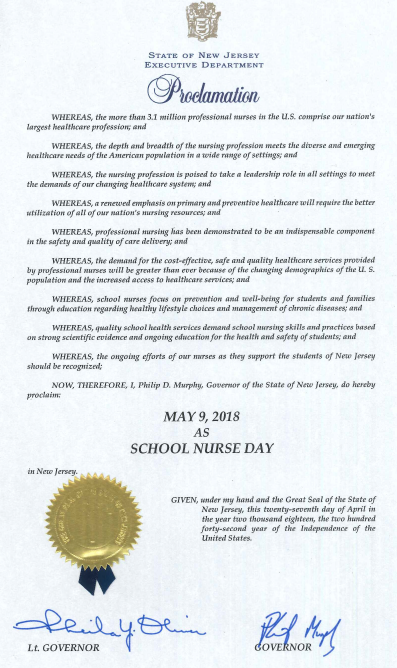 We recognize our school nurses for their dedication to the health and well-being of our students, their devotion to their profession, their care and concern for our staff and community and their outstanding contributions to our district. We applaud our nurses for their efforts and commend them for their achievements. Click the headline above to view our district's 2017-2018 Budget Presentation. Colette Baills named Hunterdon County Counselor of the Year! Congratulations, Colette Baills! 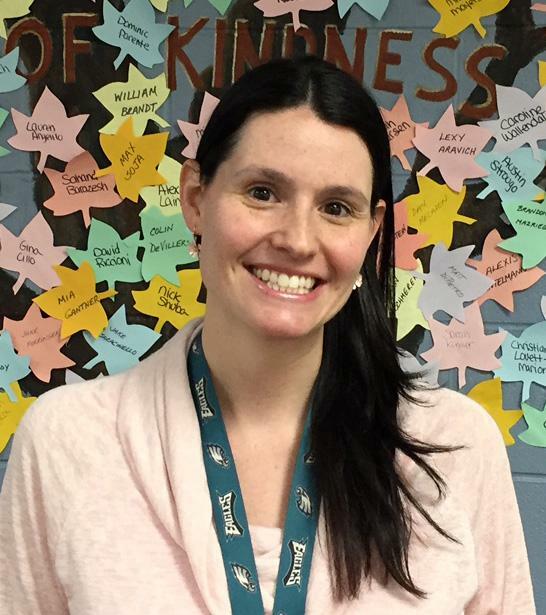 Ms. Baills, a School Counselor at J.P. Case Middle School, has been named the 2017 Hunterdon County Counselor of the Year! We commend Ms. Baills for her outstanding achievement. We thank her for her dedication to her students, her hard work and effort and her contributions to our district. Congratulations! Click the headline above for registration information for kindergarteners and new 1st-graders for the 2017-2018 school year. Congrats, 2017 Educators of the Year! 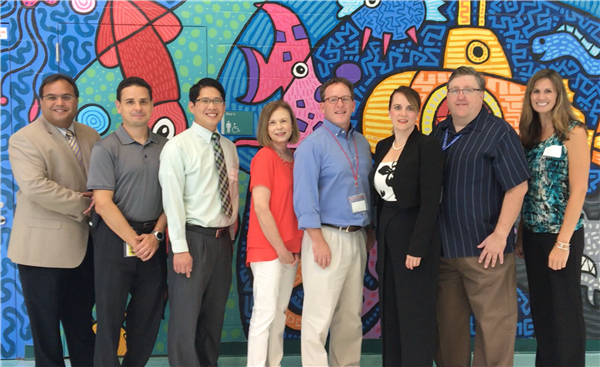 Our district extends our sincere congratulations to this year's Educators of the Year! Please click the headline above to view our recipients of this distinguished honor. 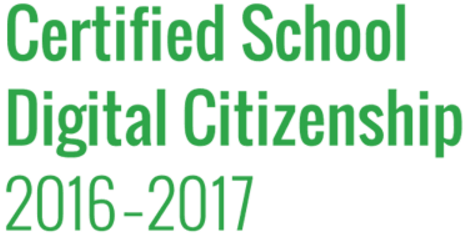 Our elementary schools have received digital citizenship certification for promoting concepts and skills that keep children safe and responsible when using technology. Click the headline above to learn more. Click the headline above to learn more about today's unplanned, emergency drills. Please click the headline above to view an important message regarding a stranger danger incident. 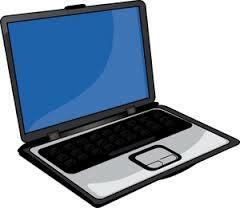 Please click here for more information about our Chromebook Protection Plan for Grades 6-8. 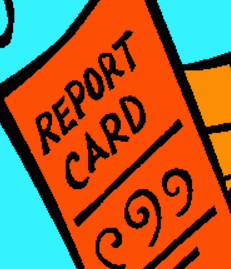 Please click the headline above to learn about changes to report cards for students in Grades K-4 this year. 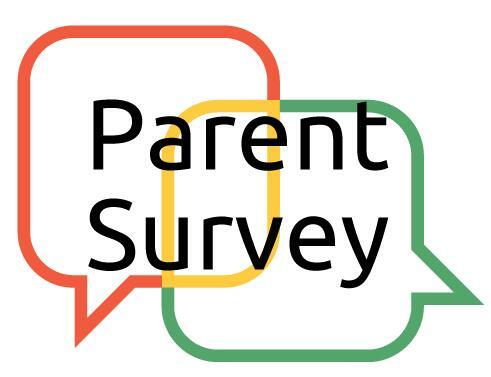 Please click the headline above to access a parent survey regarding your child's health insurance coverage. Thank you for your participation. Please click the headline above to view this important message from Dr. Caulfield. 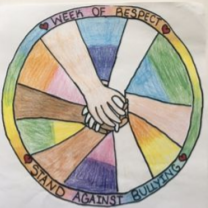 Please click the headline above to view details about our Week of Respect and a schedule of activities. Please click the headline above to view Board-approved district goals and Dr. Caulfield's merit goals for this school year. Please click the headline above to learn about the construction upgrades completed this summer and policies in place to enhance security! Please click the headline above to view our Board of Education's goals for the 2016-2017 school year. 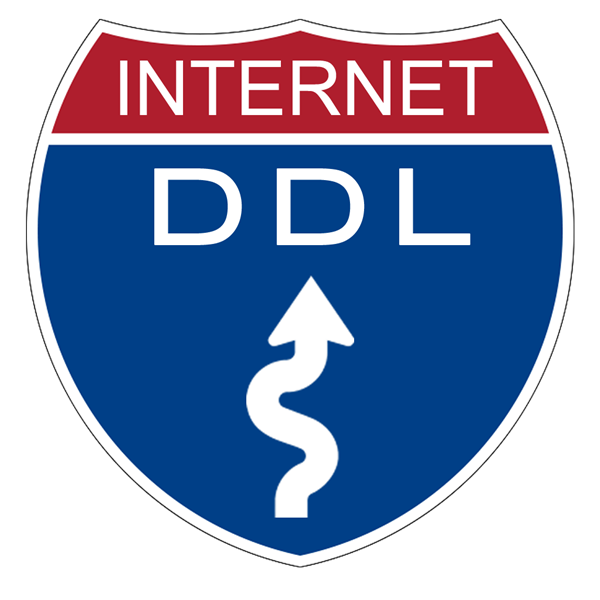 This September, students in Grades 6-8 must take a Digital Driver’s License (DDL) online assessment to take part in our 1:1 plan. 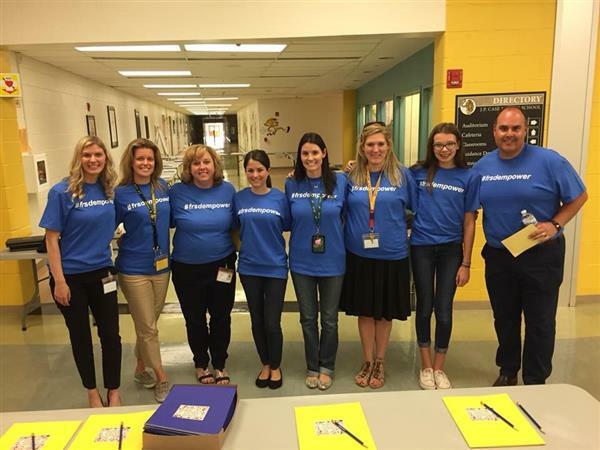 Please click the headline above to view Dr. Caulfield's summer wishes to our staff members, students and families! 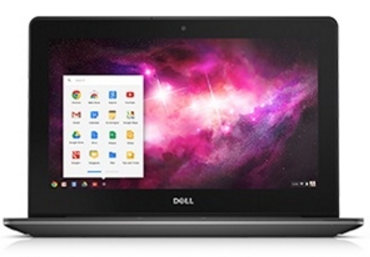 Please click here to learn about our 1:1 Chromebook effort this year! 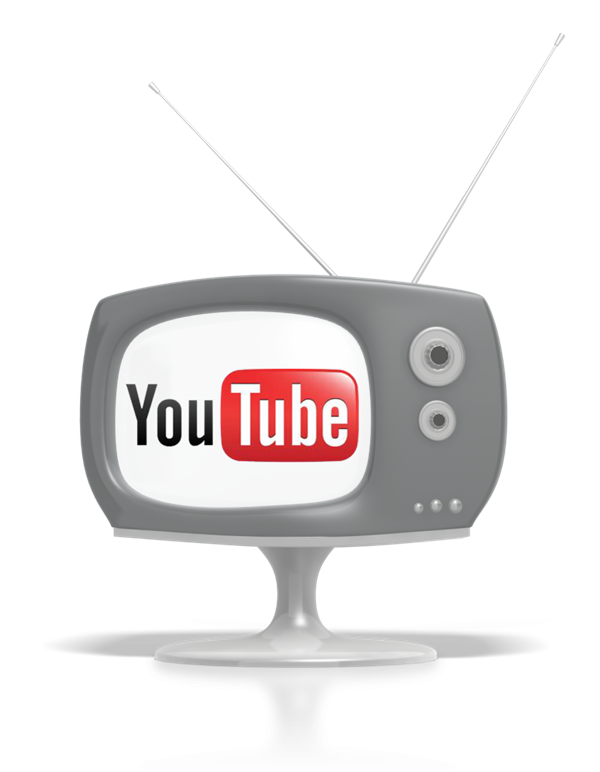 Be sure to check out our district's You Tube Channel to view our videos! 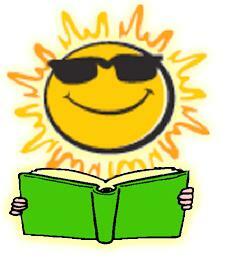 Please click the headline above to access our summer reading link. Please click the headline above to view our budget presentation on You Tube and access other budget links. 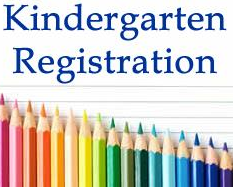 Please click the headline above for details about Kindergarten Registration. Please click the headline above to view next year's calendar. Please click the headline above to view the Superintendent's State of the District Address. This six-minute video is Dr. Maryrose Caulfield's personal message to our families, staff members, residents and community members. Please take a moment to listen to this message. Please review our school hours for emergency closings, delays and early dismissals. Check our web site, Twitter feed and Facebook page for updates. 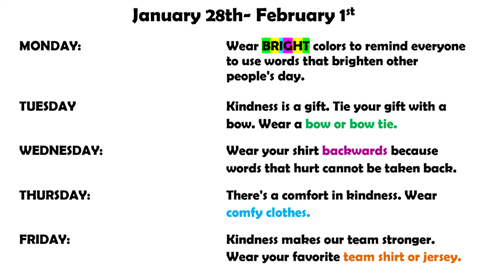 Please click the headline above for details on our district's Great Kindness Challenge, including a food drive, student events and theme-week activities! 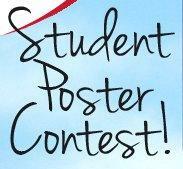 The Safety Committee of the Flemington-Raritan School District is sponsoring a poster contest for Grades K-8. The theme for our contest this year is “Guidelines for Safe Behavior & Proper conduct to & from school”. The contest runs through February 8, 2016. The Safety Committee will judge all submissions at their February 17, 2016 meeting. Our Board of Education elected Anna Fallon as President and Bruce Davidson as Vice President for 2016. Anna Fallon, Laurie Markowski, Tim Bart and Alan Brewer were sworn in to serve new, three-year terms. We congratulate these Board members and thank the entire Board for their volunteer service to our schools. Please click the headline above to view our Board of Education and District Goals for the 2015-2016 school year. Please click the headline above to view this important message. Please update your contact information! 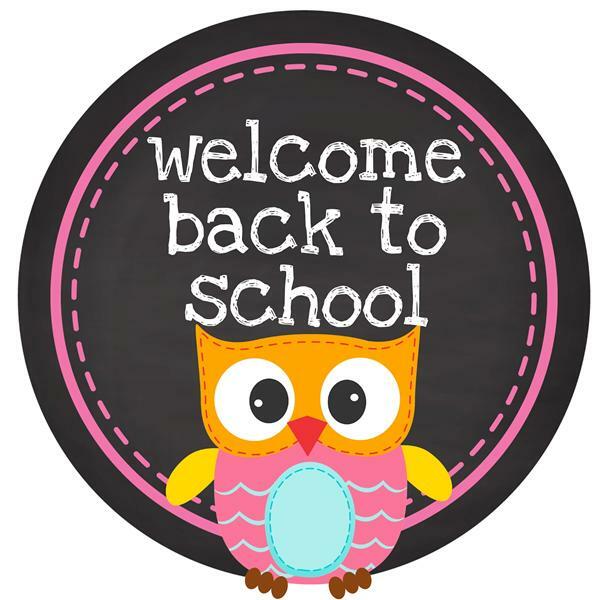 Parents, please log in to your Parent Portal account to complete the district’s Welcome Back Packet for your child. This Packet requires your response to important information required by both district and state in addition to updating your child’s emergency contact information. 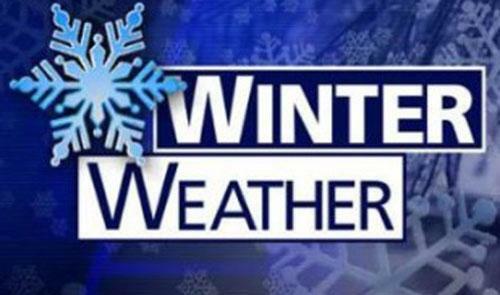 Be sure to check our school start and end times, including early dismissal and delayed opening times. Click the headline above to view our times. 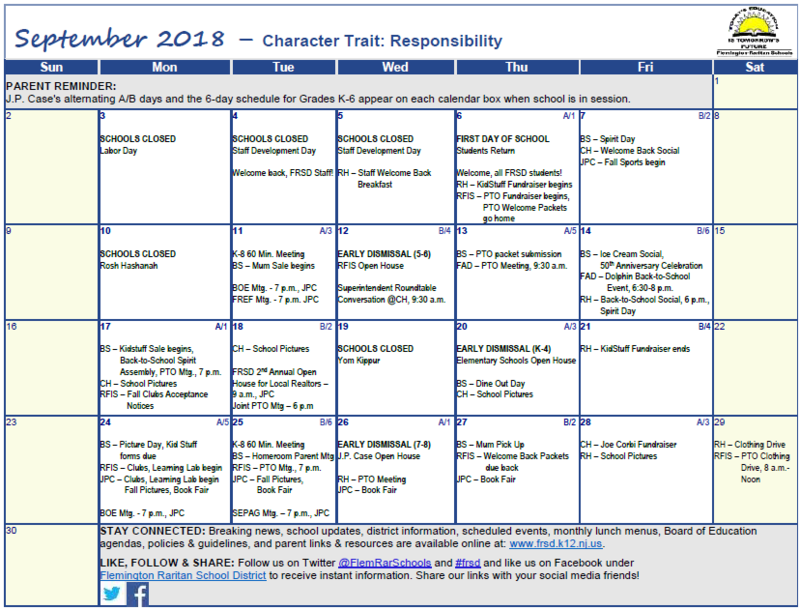 Please click the headline above to view our student calendar. Note the changes in the order of our contingency snow days. Our Board of Education approved a Memorandum of Agreement with the Flemington-Raritan Education Association. Click the headline above to read a message from the Board. 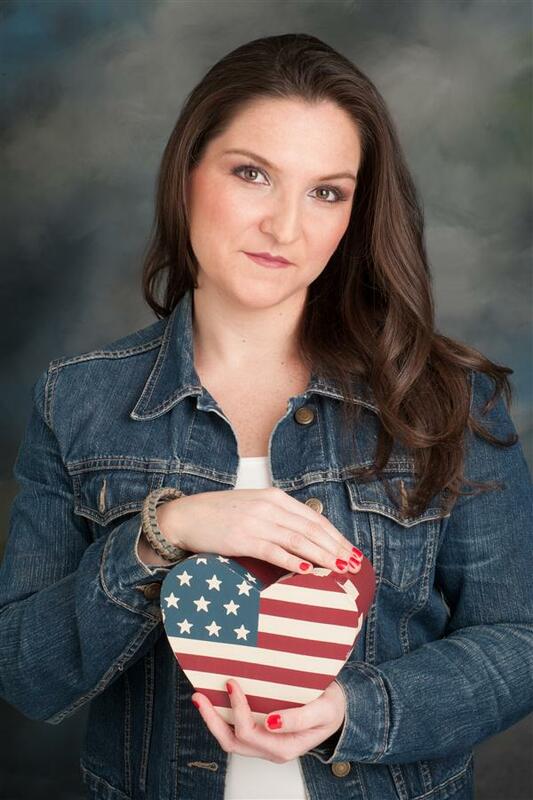 RFIS Music Teacher Susie Guckin has published her first book about traumatic brain injury, PTSD, trauma and her experiences volunteering with wounded veterans. “The Camouflaged Heart” was chosen by Litfire Publishing of Atlanta, Georgia, to be displayed at Book Expo America in Manhattan from May 27-29. Click the headline to learn more. Please click the headline above to read a statement from our Board of Education regarding the status of teacher contract negotiations. 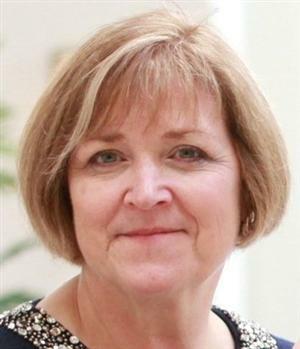 Our Board of Education appointed Dr. Maryrose Caulfield as our next Superintendent of Schools, effective July 1. To learn more about Dr. Caulfield, please click the headline above. Our district is now on Facebook! Click the headline above for instructions on how to find and "Like" our new Facebook page! Please click the headline above for an important reminder about the state's Meningococcal and Tdap vaccine requirement. Forms verifying proof of immunization are due to RFIS by 8/14/15. 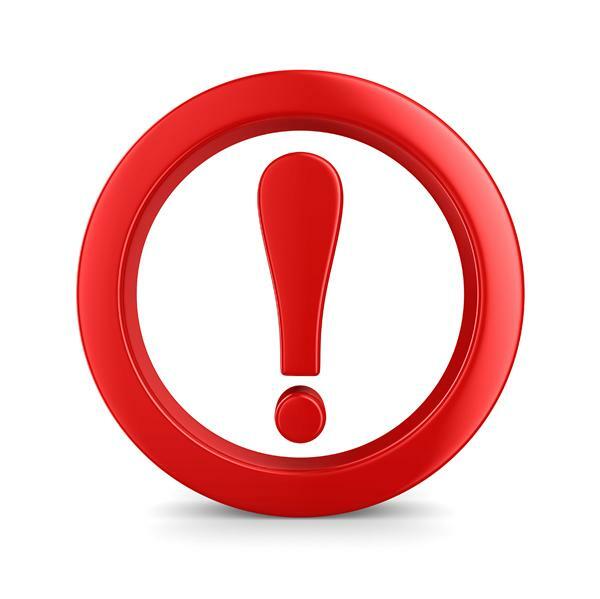 Students may be denied entrance to school in September 2015 if proof is not furnished. 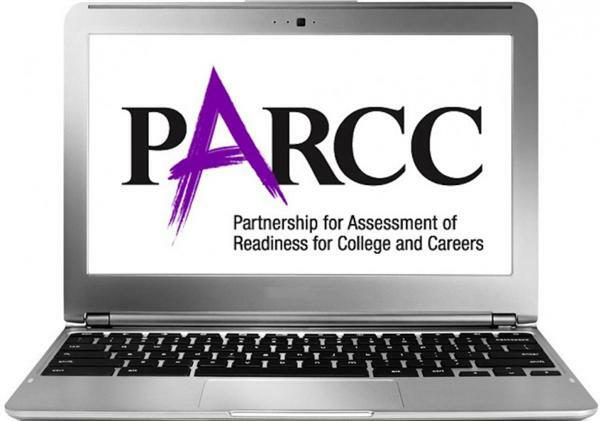 PARCC video, letters, Q&A and more! Please click the headline above to access a video recording from our PARCC parent night as well important PARCC letters and an informative Q&A. Thank you. 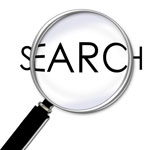 The Board of Education has been conducting a search for the next Superintendent through the efforts of the New Jersey School Boards Association. Please click the headline above for an update. Please click the headline above to read Mr. Nolan's State of the District Letter to our community. 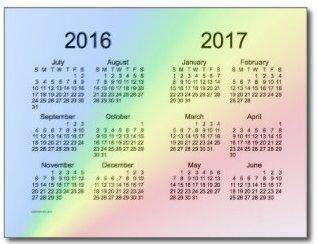 Next year's calendar has been revised! Please click the headline above to view the revised 2015-2016 Calendar. Congrats to our Educators of the Year! 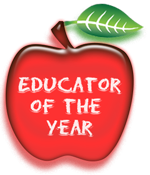 Please click the headline above to view the list of our district's 2015-2016 Educators of the Year! Our district is proud to present our new, user-friendly, online policy manual! Click the headline above to access the new web link. Students in Mrs. Cherkezian's class at J.P. Case Middle School compiled facts and thoughts about Veteran's Day in a PowerPoint slideshow. Click the headline above to view the show! On October 30, the Reading-Fleming Intermediate School 5th-grade Stretch students hosted the 2nd Annual Creativity Co-op Challenge. Gifted and high ability students from East Amwell, Delaware Township, Readington and RFIS participated in a day of creative problem-solving & camaraderie! Click the headline above to learn more and view photos from the day. 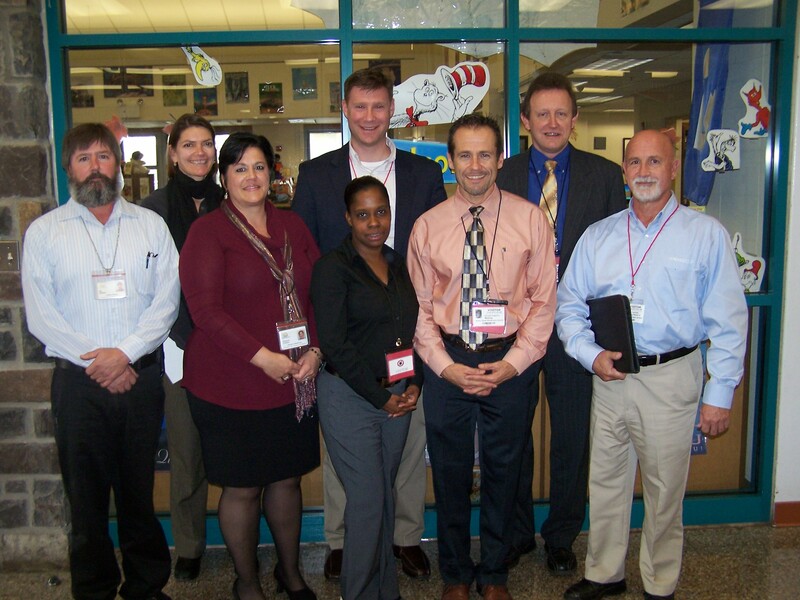 On November 4, our district provided an exciting learning opportunity for teachers and administrators. Staff had the opportunity to learn from over 40 different sessions based on the surveyed needs of teachers. Our district welcomed a visit from Jason Powers from the U.S. Department of Energy to review and learn from the district's efforts to complete an energy savings improvement plan. Please click the headline above to learn more. Kristin DeLorenzo, a math teacher at Reading-Fleming Intermediate School, was selected for a National Educator Fellowship. Please click the headline above to learn more about this exciting program and achievement. Please click the headline above to view a letter from our district's nurses. NY Jets and NY Giants players visited Barley Sheaf School on September 16. They donated $50,000 to the school for a new playground and physical education equipment won by parent Amy McKenna through the NFL's Play 60 Bus Essay Contest. Click the headline above to view photos from the visit and learn more about the event. Adrienne Harley, a kindergarten teacher at Francis A. Desmares School, was honored as the Hunterdon County Teacher of the Year at a state ceremony on July 31. 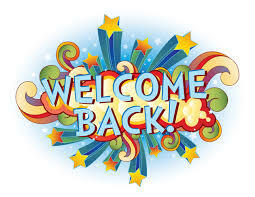 Please click the headline above to read Mr. Nolan's Welcome Back Letter to all families! 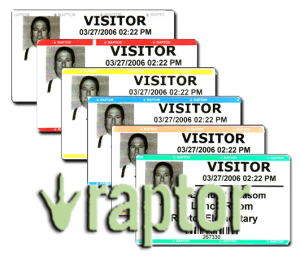 Beginning in September, our district is implementing a new visitor management system as part of our security protocols. Please click the headline above for details. We thank you for your patience, understanding and cooperation. 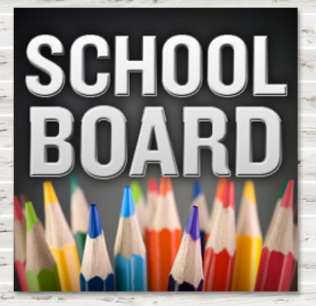 Please click the headline above to view questions and responses regarding topics raised during Board of Education meetings. 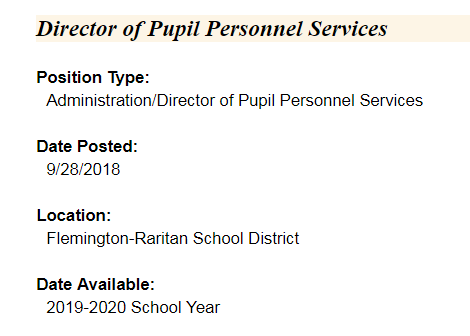 Superintendent Gregory Nolan is making several administrative changes due to specific needs within our district for the upcoming school year. Please click the headline above for details. Thank you, always, for your continued support of the district and its endeavors. Mrs. Custy named to Dream Team! Barley Sheaf Stretch Teacher Mary Jane Custy was once again selected to participate in LearnZillion's Dream Team. The G&T teacher will have the opportunity to participate in TeachFest, a unique professional development experience, from June 4-7, 2014 in New Orleans. The focus of Mrs. Custy's experience at TeachFest will be Language Arts. This year's Dream Team was selected through a highly competitive national application process. Over 4,000 applications were received and 201 teachers were chosen. Click the headline above for details. 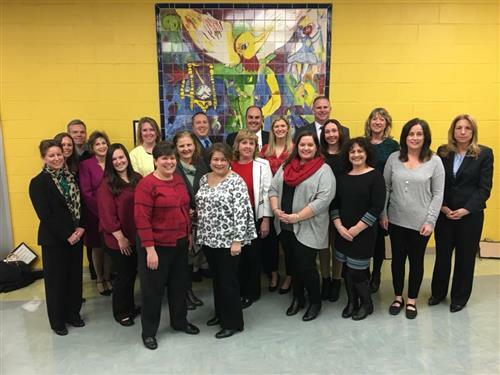 On May 2, the first class of Reading Recovery teachers graduated from the Flemington-Raritan Regional School District Reading Recovery training site. Congratulations to Joe Kassick, our district’s Reading Recovery Teacher Leader, and the newest Reading Recovery Teachers! Click the headline above for details. 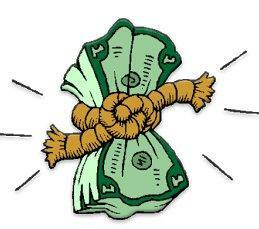 Click the headline above to access budget information for the 2014-2015 school year. Our district will establish a full-day kindergarten program, beginning September 2014. Please click the headline above for details. Registration will be held on March 6. Click the headline above to view a message from the Board of Education regarding full-day Kindergarten. 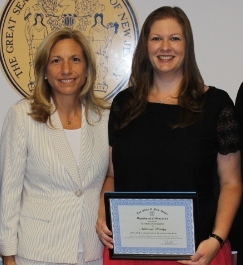 Congratulations to Adrienne Harley, Kindergarten and Student Support Teacher at Francis A. Desmares School! Mrs. Harley has been selected as this year’s District Teacher of the Year! Click the headline above to learn more about Mrs. Harley and to view a list of each school's recipient of the Governor's Teacher Recognition Program this year. Security expert and consultant Michael Dorn from Safe Havens International shared his security audit findings with the Board of Education on November 18. Click the headline above to view the presentation. Please click the headline above to view the school calendar for next year. 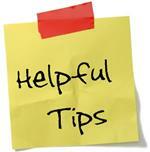 Please click the headline above to view important information regarding lice and other essential health reminders. 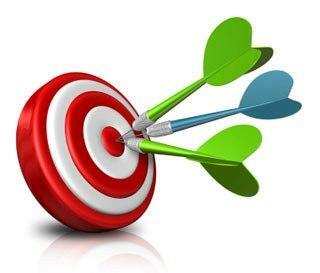 Please click the headline above to view district and Board of Education goals for the 2013-2014 school year. 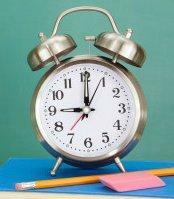 Parents, please know that early dismissal days for Grades K-6 will be held Nov. 11-14. Also, Board of Education meetings will be held once a month beginning in October. Click the headline above to review these dates. Did you complete your Parent Portal screens? 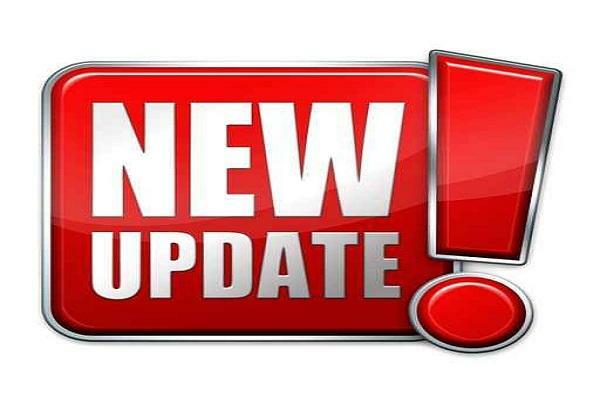 Parents, please be sure to complete the Demographic Change screen and the Power Announcement screen on the Parent Portal immediately so that school personnel can contact you easily in the event of an emergency. Click the headline above for more back-to-school reminders! Best wishes to the Class of 2014! We are so proud of you! Good luck! 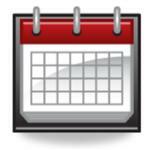 Please click the headline above to view special dates in next year's calendar, including the first day of school, winter and spring break and the last day of school. 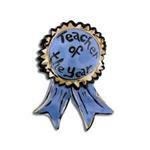 Teacher of the Year Announced! Congratulations, Mary Jane Custy! Mrs. Custy, the Elementary Gifted Specialist at Barley Sheaf School, has been selected as this year’s District Teacher of the Year. Please click the headline above to view a full list of this year's Governor's Teacher Recognition Award recipients for each school. Our district is partnering with an energy efficiency and renewable energy company to begin an Energy Savings Improvement Program. Over 15 years, the $4.8 million budget-neutral project is expected to help our district realize over $326,000 in annual energy cost savings and over $29,000 in operational cost savings. We are expected to see a savings of over $6.4 million by the end of the project. Click the headline above for details. 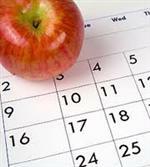 Please click the headline above to view revisions to this year's school calendar. 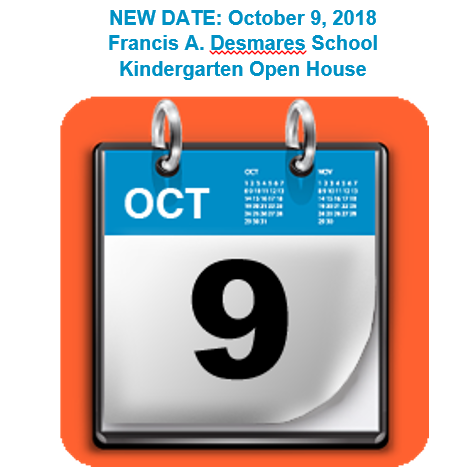 Click the headline above to learn more about Kindergarten and Grade 1 Registration and to download a packet for your kindergarten child or first-grade child, new to the district, who is entering school in September 2013. Please click the headline above to access tips for talking with your children and helping them cope with grief and fear. School Security: Please be alert and vigilant! With the devastating news of a school shooting in Connecticut, please click the headline above to review our district procedures for ensuring student safety. 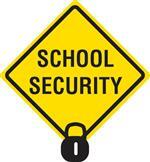 Please remain vigilant to school security measures and committed to keeping our children safe. 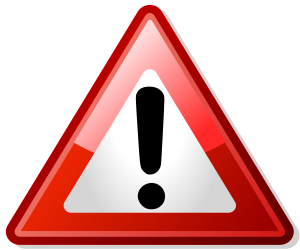 When visiting our schools or while out in the community, please be alert to suspicious activity and potential safety threats. Click the headline above to view Mr. Nolan's fall newsletter. 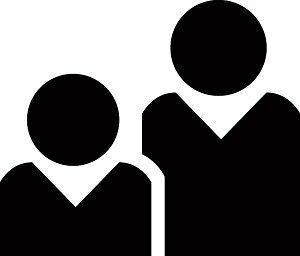 Do you know a family in our district that has been displaced? If you or someone you know has been displaced by Hurricane Sandy and has children that are not living in their home district, please contact a Social Worker in our district's Department of Special Services. Please call (908) 284-7680. As we mark Veterans Day, our district recognizes our exceptional staff members and community residents who have served in our nation’s armed forces. Their service, sacrifices and contributions have helped our country establish, maintain and protect the freedoms and opportunities we value and treasure as a nation today. Superintendent Gregory Nolan extends his thanks and appreciation to our students, staff, parents and community members for their patience, support and cooperation during and after Hurricane Sandy. Click the headline above to view this message. Board of Education elections were held on Nov. 6.Click the headline above to view county election results. Francis A. Desmares School has won the Bronze Award in the Healthier US School Challenge. On October 4, representatives from the U.S. Department of Agriculture and the NJ Department of Agriculture attended an All-School Meeting where school officials were presented with the award and a $500 check during the special assembly. Click the headline above to view photos! Substitutes: Register to attend a training! All substitutes are required to attend one district training this school year. Trainings will be held on January 28 and March 11. To register, click on the training session that you prefer to attend, which are listed under the Upcoming Events section of our homepage, and follow the prompts to register. 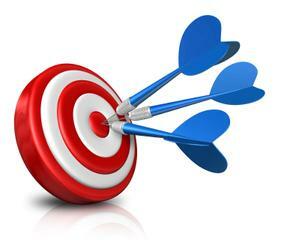 Click the headline above to view the 2012-2013 goals for the Board of Education and the Superintendent. 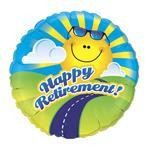 Click the headline above to view a list of staff retirements in our district for the 2011-2012 school year. The entire district extends a sincere thank you to each retiree for their dedication and valuable contributions to our students and schools. We wish them much health and happiness in their retirement years! On June 18, the Board of Education approved a new contract extending Superintendent Gregory Nolan's term through June 2015. Click the headline above to view the new contract. Interested in our preschool program? 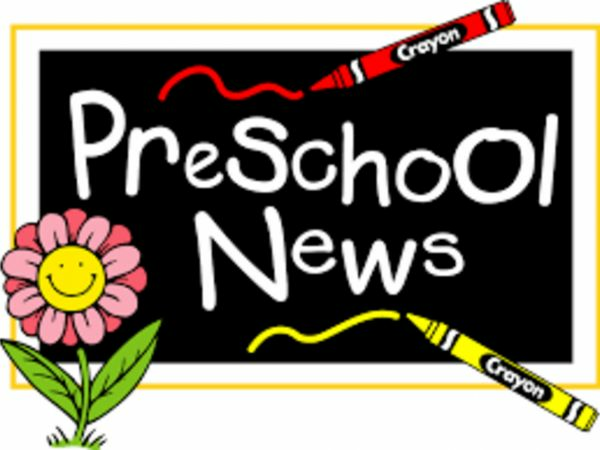 Click the headline above for preschool information and to register your child for September. 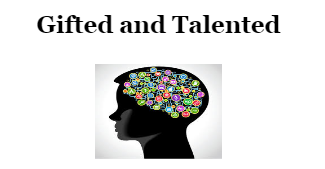 Click the headline above to view the fall issue of Mr. Nolan's e-Newsletter. There is now a free PowerSchool app that allows you to check your child’s grades and attendance from most Apple mobile devices such as iPhone, iPod-Touch, iPad, running iOS, version 4.0 or later. To download the app, sign into PowerSchool and click on the App logo in the lower left hand corner or simply search for PowerSchool in the App Store. Mrs. McConnell named Teacher of the Year! 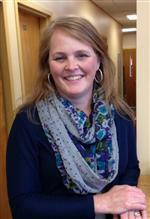 Laura McConnell, an art teacher at Desmares School, has been named this year's Teacher of the Year in our district! We also recognize each school’s recipient of the 2012 Governor’s Teacher Recognition Award: Patricia Ramachandran, Math Support Skills Teacher, Barley Sheaf; Suzanne Petto, Grade 4 Teacher, Copper Hill; Laura McConnell, Art Teacher, Desmares; Jennifer Marino, Physical Education & Health Teacher, Robert Hunter; Kristen Carthas, Grade 5 Teacher, Reading-Fleming; and David Hallinan, Grade 7 & 8 Math Teacher, J.P. Case. Congratulations to all! The Flemington-Raritan Board of Education is pleased to announce that a tentative agreement has been reached with the Flemington-Raritan Education Association. 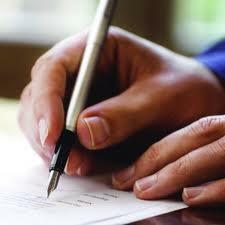 Details will be shared once both sides have ratified the contract.